Transitions are associated with significant marker events or turning points that require new patterns of response. These turning points prompt the recognition that "business is not as usual" and that patients require new strategies to cope with daily life experiences. 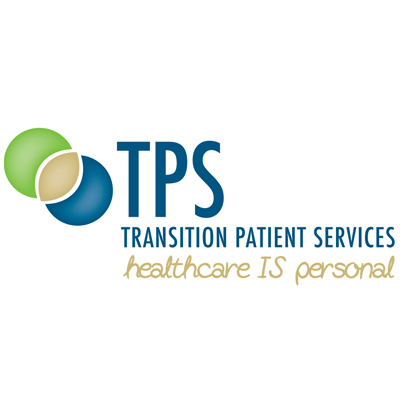 Founded nearly a decade ago, Transition Patient Services is comprised of a team of pharmacists and recognized health care experts dedicated to improving medication management. As leaders in transition medication management with an average of 30 years experience in retail and hospital pharmacy and pharmacy supply chain management, we are in a relentless pursuit of our vision to improve each patient’s transition and help our clients reach their clinical, financial, and organizational performance goals. TPS uses the powerful combination of innovative medication delivery models, algorithm-based analytics, and personalized patient support to deliver patient focused, evidence-based solutions that reduce barriers to medication access, acquisition, and adherence.